Today was another hot Texas day so I decided to grill something that wouldn’t be too heavy and would play nicely to the weather. I landed on grilled spicy shrimp with a cool sauce – in this case an avocado dill remoulade – to balance things out. The results were pleasing, though I haven’t quite cracked the remoulade. If you have any ideas, definitely let me know! Simple: olive oil, koser salt, and black pepper. The shrimp were in their shell so I split, deveined, and removed everything including the tail. 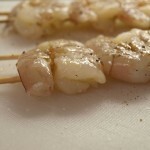 It’s best to use two skewers with shrimp; the technique helps to keep them under control. 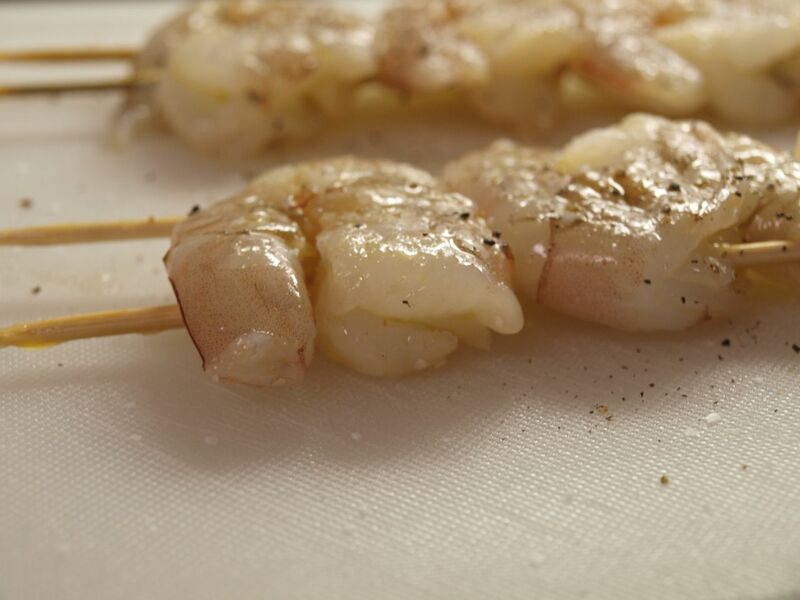 They were tossed in olive oil and then seasoned with kosher salt and freshly cracked black pepper. For the remoulade, I mixed mayonnaise, avocado, and fresh dill. I finished it off with a quick squeeze of lime and put it in the refrigerator so all the flavors could start working together. All told, it probably hung out in the fridge for about an hour. I decided to add grilled corn to the menu as well, so I mixed some butter and chipotle powder and left it aside. 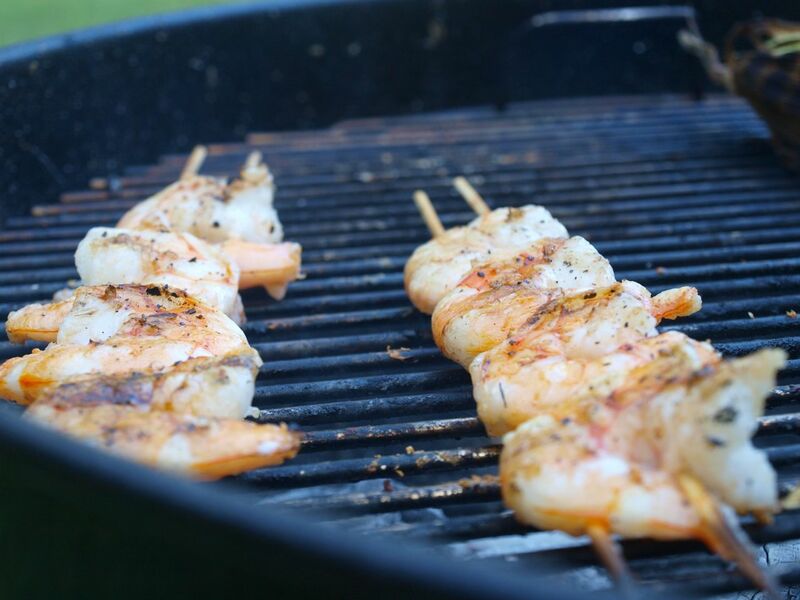 I tossed the corn on the grill far before the shrimp so that everything would finish at the same time. My charcoal supply was low so it was a cool grill. Usually the shrimp would only take a couple of minutes each side… for me it was a little longer and the visual appeal of the shrimp suffered a bit. When everything was done I came in, put some hot sriracha sauce on the shrimp, and plated up. As you can see my plating skills aren’t the best but it didn’t look too shabby, if I may say so. As for taste, the mix was exactly what I was looking for. The shrimp were spicy, the sauce was cool… and the corn with chipotle butter is a staple that just always works! Ummmm article left a lot to learn, “A few minutes” does not give much info, is that per side, do we flip, baste, hight heat/low direct flame, indirect, What? 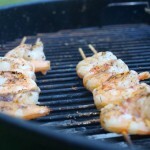 Generally pretty vague, doubt I will try,”Guessing” how to grill shrimp!